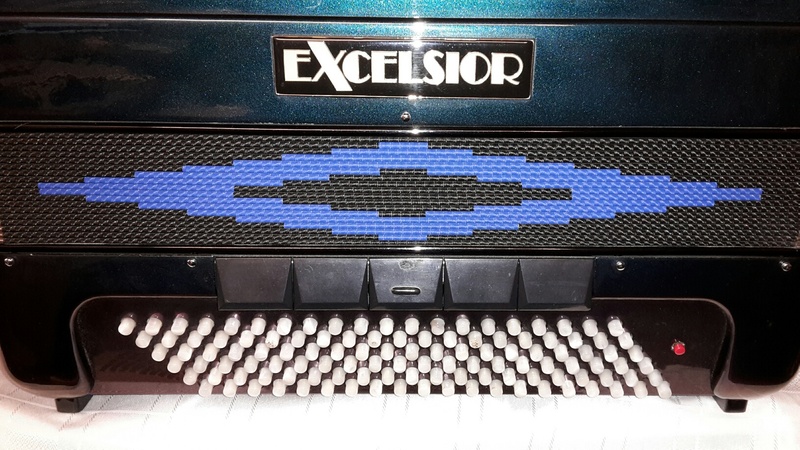 Excelsior 120 bass Midi accordion. 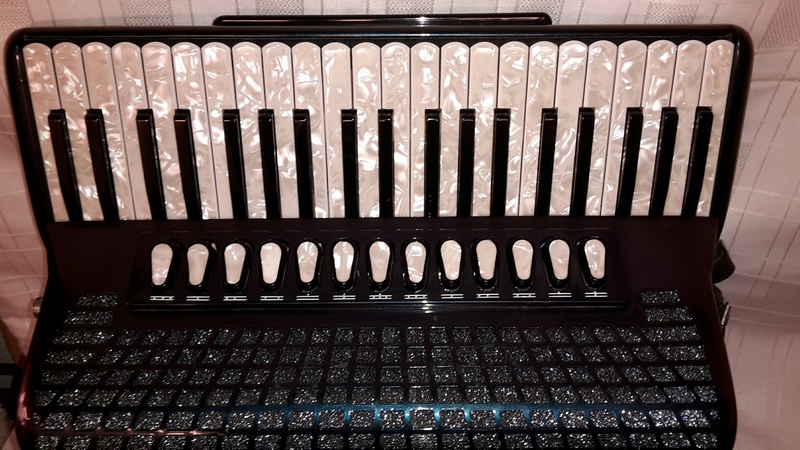 This accordion is a limited edition 4 voice musette tuned model with a subtle pearlescent finish which changes colour depending on the viewing angle. It has 13 treble registers (7 changes) plus a master palm register & 5 bass registers. This instrument is a traditional acoustic accordion which has a discreet factory fitted midi system which can be used to connect to any midi sound module producing a fabulous array of electronic sounds & rhythms along with the traditional accordion sound. Guarantee: 1 year traditional reed accordion & 3 months electronic components. 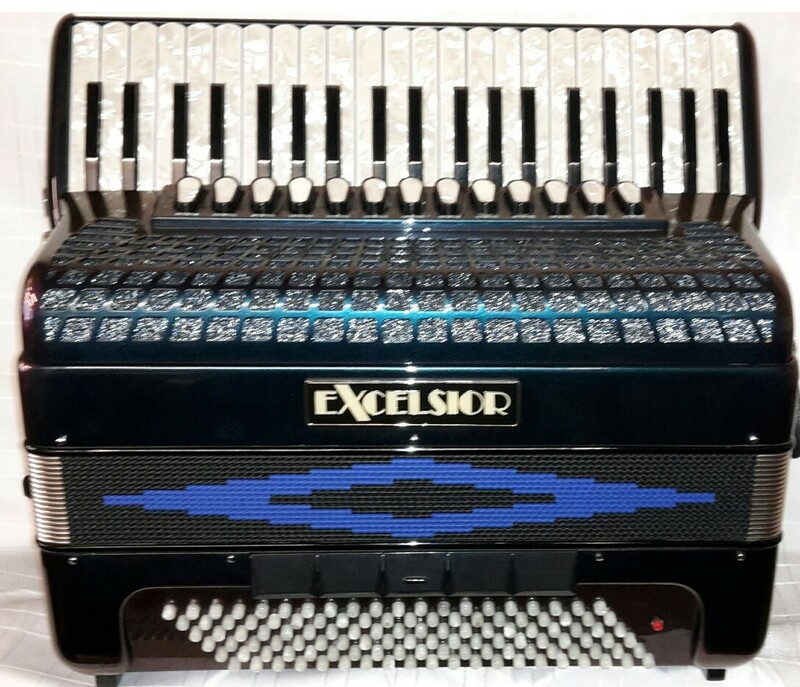 Why not pay us a visit to try this Excelsior 120 bass Midi accordion for yourself? To buy this accordion or get more info please call our Rochdale shop on 01706 658283. 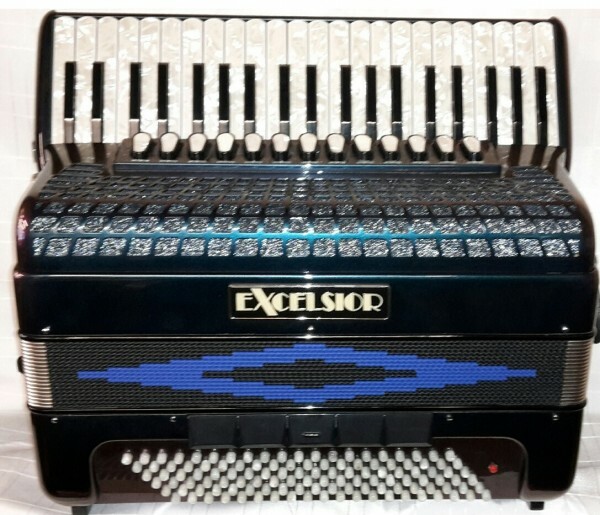 A 0% interest free loan is available on this Excelsior 120 bass Midi accordion subject to status via the Arts Council. Terms and conditions apply – please contact us for full details. This accordion comes complete with your choice of either a soft gig bag or a hard case, padded shoulder straps and a 12 month component parts guarantee on the acoustic accordion, and a three month guarantee on the electrics. Don’t forget, free delivery of this Excelsior 120 bass Midi accordion to most parts of mainland UK is included in the price!